Both at work and in class, I’ve had some opportunities to do cloud computing. It’s interesting technology. But this was always on someone else’s dime and mostly I didn’t spend a lot of their dimes anyway. For most things, I just don’t see the value or need for me to rent a computer in the cloud. I have a pretty decent laptop (with a CUDA GPU for deep learning) running all the tools SQL Server 2017 provides me. I have enough cheap fast (SSD) disk space to keep my data interests satiated. The software cost me nothing. If you are only doing development, this so-called expensive commercial technology is not only free (when you choose the uncrippled SQL Server Developer edition), but so is much of the learning because of its large userbase. The number of people who work with SQL Server is more than those working with ALL 127 open source NoSQL database engines combined. Late note: i just saw on Ginger Grant’s great blog that Azure Machine Learning Workbench lets you develop on your desktop. 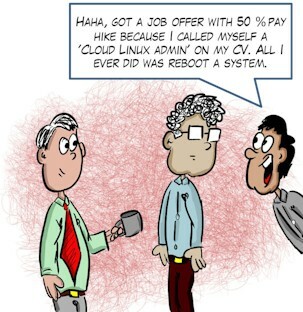 You deploy on the cloud. This sounds a bit like Power BI where you can develop on the desktop (and many things can only be done this way) and then share it by deploying to Microsoft’s Power BI cloud (not part of Azure). What I’m not sure of is whether (like Power BI) you can skip their cloud as long as you only want to share your Power BI creation like you would a spreadsheet (it won’t automatically update if the source data changes, but at least you can share that a data snapshot for free). Next Which kind of big counts in big data?